Air Modeller is a favourite SMN hardcopy read, and here it is available to view online. Nicely photographed throughout, and printed in full-colour, Air Modeller makes a great read. It features reasonably detailed kit builds, and is a regular must on the news stands. It's presented here in Issuu, one of the best online reader apps, so enjoy. Actually of course, the online version is only a taster for the real thing, and it's worth adding to that pile of model mags if you like to pick up and browse, and of course, the smell of printer's ink on paper. Apart from the He 219 cover feature, there are articles on the He 111, Bf 109, P-38, and Vickers Wellington. 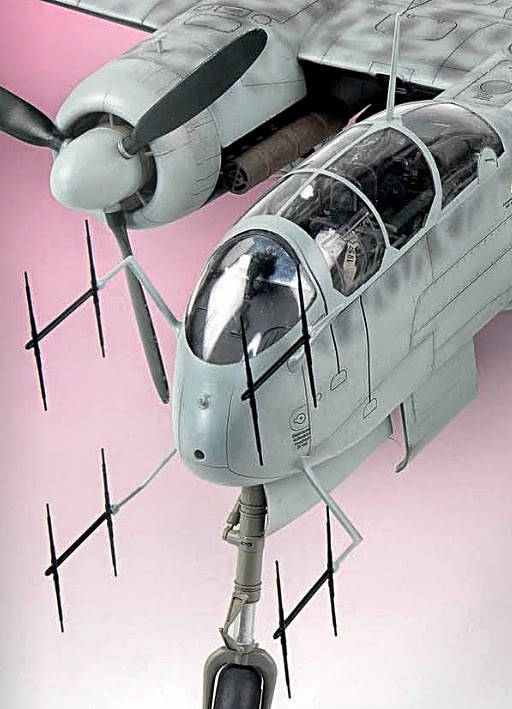 Click here for Heinkel He 219 kits and accessories.